HEALING THERAPIES - ginagallos jimdo page! "Intention is the Key! Make it your intention that you are healing. Make it your intention the you are recovering. Make it your intention that you are becoming a different person, reborn and renewed with all of your problems gone, and it will happen." "Spirituality is self-analysis. Spirituality is looking at your own darkness and facing yourself. That is what being spiritual is. It is not focusing on other people, it is focusing on yourself. When you change yourself, then you are changing the world. When you make yourself better, then you are making the world better. That's what true spirituality is." One to One Private Yoga Session specifically designed for you. Therapeutics, beneficial meditations and poses to suit your individual needs. Our feet are our connection to the earth, they ground us, root us and fully support us! Reflexology is a means to energetically ground, it is a healing modality that stimulates and balances all the vital systems and organs in your body. A yoga inspired treatment includes feet, hands and head. 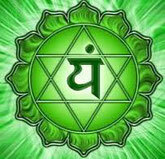 Harmonyum is a healing system, also known as Bio-Metaphysical Medicine. It promotes excellent health in our bodies and in our spirit by nuturing and strengthening our inner being. It symchronizes our physical and mental functions in order to enhance our capacity to adapt and live effectively which in turn leads to glowing health, vigor, happiness and increased longevity. Harmonyum heals a multiplicity of aliments at the level of the root cause, including mental and emotional disorders. Harmonyum is a Divine Healing System that assists in raising the body's vital energy and rate of vibration in a way that cannot occur with medicines, herbal extracts, drugs and the like. Bio-Metaphysical Medicine heals the physical body by treating the non-physical body or spiritual body. Harmonyum stimulates the inner wisdom within all of us. During health disturbances, you must go to the center of your being to escape the turbulent and destructive power of illness. When you are experiencing health challenges, remember that the path of the center of the healing space is through the neutral axis.